Travel with Bob Kern, Lad Shunneson and Ken Wilson from Almaty, Kazakhstan to Aktyubinsk and then fly across the Kazak steppes in a Polish biplane. 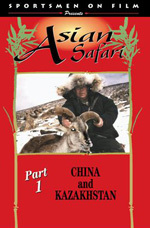 Hunt with Russian guides for Saiga Antelope, one of the world's most unique animals. A Sportsmen on Film DVD production. Travel with Bob Kern, Lad Shunneson and Ken Wilson from Almaty, Kazakhstan to Aktyubinsk and then fly across the Kazak steppes in a Polish biplane. 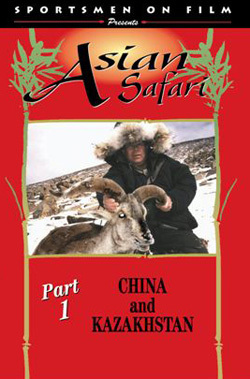 Hunt with Russian guides for Saiga Antelope, one of the world's most unique animals with its large, swollen nose. Tour Beijing, China, including the Great Wall and Forbidden City, and then travel through Xining on the Yellow River to the Buerhanbuda Mountains where the base camp is comprised of gers (Mongolian-style tents) at an elevation of 12,000 feet. From there, hunt the magnificent Blue Sheep and Tibetan Gazelle.